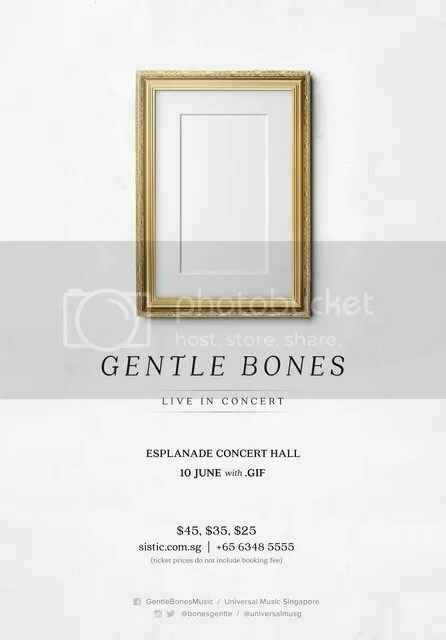 In October, we announced that Joel Tan or known as Gentle Bones will be holding his first concert at the Esplanade Hall. However, it was later announced that it was cancelled due to unforeseen circumstances. It puzzled everyone as tickets were sold out. So what actually happened? Joel was caught in a situation in Jakarta and was forbidden to leave Jakarta then. Joel was scheduled to perform in Jakarta as an opening act with Kina Granis. However, due to some problems with the performance permit, their passports were impounded. He then had to stay in Jakarta for 3.5 months. Fret not, Gentle Bones fans, a new date has been set! Ticket are already on sale on Sistic. Maybank eVibes and Platinum VISA cardholders will enjoy 10% discount on tickets for a 30-day period, from 29 January 2016 to 29 February 2016. Get your tickets now to avoid disappoint. Support local talent!